While THE VOICE contestants have to get on stage every Monday night and sing their hearts out with the hopes of getting your votes, there’s another key factor — the iTunes recording session. 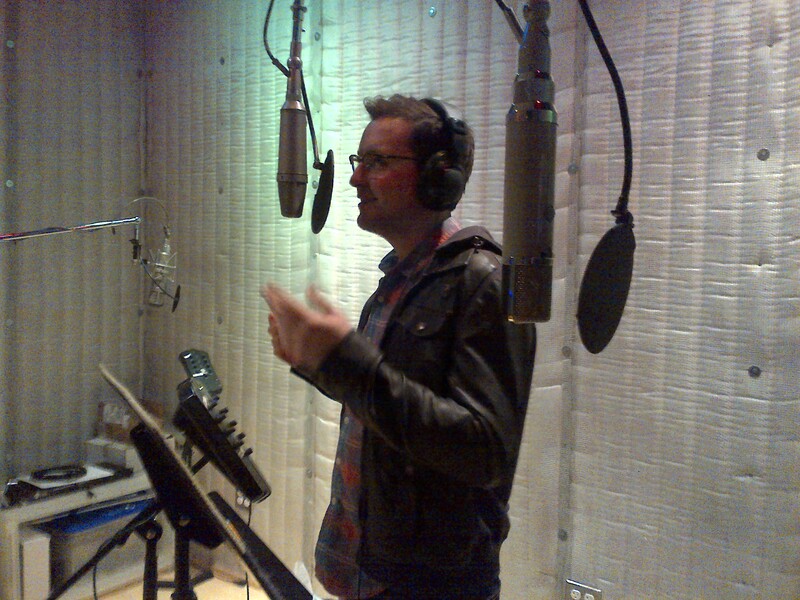 Every week, the contestants go to a recording studio in Burbank, where they record their iTunes version of the song they’ll sing live for the next round of THE VOICE. On his song, "With or Without You": "I love this song, a lot...[Adam's] been trying to clear U2 for years, and I guess, from what I understand, the process of clearing a song to sing on the show is that you approach somebody who is partially responsible for the record...and you personally pitch the singer as the person who is going to be singing the song, and they approve it based on who will be singing the song. And Adam had success pitching me to U2." On doing one song this week versus two: "I actually think the real stress from last week and the real reason things didn't go as well as we hoped is because we were doing so many songs. Because we have about four or five days to prepare all this stuff. And we're not only rehearsing the songs we sing solo, but we're also rehearsing the two or three group songs we do each week. And staging for all those numbers...it's just a lot, a lot, a lot to shove up in your brain in any given moment. And this week is much more relaxed, it's much more focused, I can invest all of my energy...not to mention this song brings me to tears and I love it. I've done intimidatingly big songs in the past, so I'm acquainted with the responsibility of doing a big song. I see it more as an opportunity rather than an opportunity for failure." On his recording studio experience: "I think this is actually where I feel more comfortable. No, that's a lie: I love being on stage and performing in front of people. It's different, obviously, because we're on TV and it's just a massively large, intimidating audience. But I've dabbled in home studio engineering and things like that before. I love doing it. I've been in and out of studios before. I think it's great. I love the idea of audio engineering, and it's something I'd like to learn more about, because I think apart from singing music, what I'd like to do is write music. And I think that's where I want to go next." Did you buy any of the songs the top 5 performed?